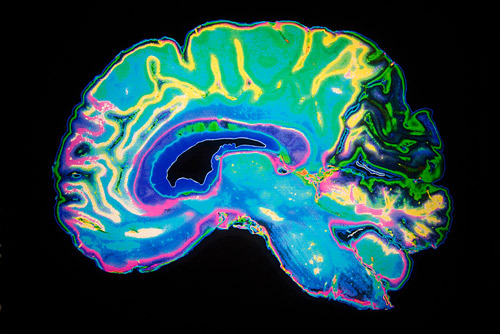 Genetic mutation underlying severe childhood brain disorder identified – Pachygyria – Making Connections. Finding Solutions. Medical researchers have discovered a genetic mutation and the faulty development process it triggers, causing a debilitating brain-based disorder in children. Ashleigh Schaffer, PhD, assistant professor of genetics at Case Western Reserve University School of Medicine, and a team of global genetics experts have discovered a genetic mutation and the faulty development process it triggers, causing a debilitating brain-based disorder in children. Pachygyria is characterized by abnormal movement of brain nerve cells, known as neurons, during development of the brain and nervous system. Using genetic sequencing and studying three families affected by the disease, the research team discovered that children with pachygyria have a mutation in both copies of the CTNNA2 gene, each alteration coming from one parent. The mutation leads to loss of CTNNA2, which the researchers then showed affected how nerve cells travel from their source of origin in the developing brain to their concluding destination in what eventually becomes the neocortex, a process called neuronal migration. The neocortex controls language, consciousness, sensory perception, and other vital functions. Neuronal migration is a highly complex process mediated by numerous intracellular signaling pathways. “Our finding that alpha-N-catenin mutations cause pachygyria is an important step in understanding how neuronal development is regulated,” said Schaffer, the first author of the study and a Mount Sinai Scholar. Specifically, in healthy brains, CTNNA2 binds to actin, a protein that controls the shape of the cell and helps neurons move into correct position within the cortical layers of the brain. This binding prevents another protein, called ARP2/3, from itself binding to the actin. But the research team found that when CTNNA2 is absent due to genetic mutation, excessive amounts of ARP2/3 bind to actin, ultimately disrupting the mechanisms needed for appropriate migrating and branching out of nerve cells. Specifically, resultants ARP2/3 over-activity leads to excessive branching, which impairs neuron growth and stability. The finding raises the possibility of genetic engineering through techniques such as CRISPR-Cas9. It has been known for decades that coordinated regulation of the actin cytoskeleton was critical for proper neuronal positioning within the brain. (The cytoskeleton is the network of protein filaments and microtubules that support the cell, giving it shape. It also has key roles in molecule transport, cell division and cell signaling.) How the actin cytoskeleton is regulated at the molecular level in neurons was not fully clear. The new results from Schaffer and colleagues help address this shortfall. In addition to uncovering a key gene responsible for pachygyria and describing how its mechanisms operate, the researchers discovered a variation of the condition. Typically in cases of pachygyria, either the front or back of the brain displays smooth, non-wrinkled brain surface features. In cases of normal brain development, these areas are convoluted, resembling cauliflower in appearance. In the three families studied, the researchers discovered that both the front and back of the brain were smooth. “The fact that we found this unique feature led us to conclude that a new gene, not previously linked to pachygyria, is responsible. This turned out to be the case,” said Schaffer. Members of the team, which includes researchers from throughout the U.S., Middle East, India and Europe, will further explore the implications of its findings in people with single-copy mutations of the CTNNA2 gene who have epilepsy, autism and schizophrenia. Case Western Reserve University. 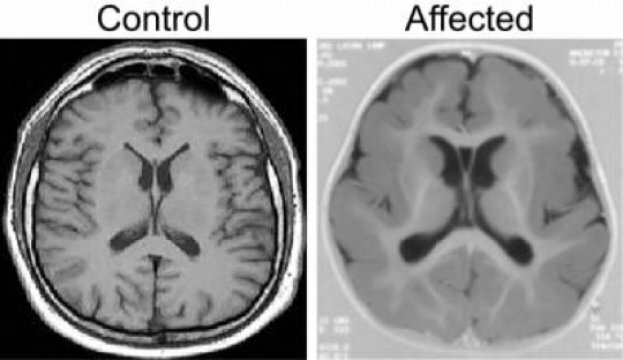 “Genetic mutation underlying severe childhood brain disorder identified: Pachygyria characterized by irregular unfolding of brain surface cells.” ScienceDaily. ScienceDaily, 9 August 2018. <www.sciencedaily.com/releases/2018/08/180809125552.htm>. A healthy alpha-N-catenin protein is required for embryonic nerve fibres to reach their final destinations. Studies on a newly identified gene mutation are helping to clarify some molecular processes that guide nerve fibre development in the embryonic brain.An international team of scientists, including from institutions in Egypt, Saudi Arabia, and Qatar, identified a mutation in three consanguineous families that causes a unique form of pachygyria. In this condition, the outer layer of the brain fails to fold in the way that gives it its usual cauliflower-shaped appearance. People with pachygyria have poor motor and cognitive development, undergo epileptic seizures, and severe intellectual impairment. Joseph Gleeson of Howard Hughes Medical Institute at the University of California, San Diego and colleagues found affected members of the family had a mutation in both copies, each coming from one parent, of the CTNNA2 gene. The mutation leads to malformation of a protein called alpha-N-catenin. Further investigations showed that the malformation affected how nerve fibres travel from their starting point in the developing brain to their final destination, a process called neuronal migration. The team found that, in healthy brains, alpha-N-catenin binds to a filament-forming protein in nerve fibres, called actin, which is responsible for guiding nerve fibre microtubules by responding to extracellular cues. This binding prevents another protein complex, called ARP2/3, from binding to the actin. When alpha-N-catenin is malformed due to the CTNNA2 mutation, excessive amounts of ARP2/3 bind to actin, ultimately impairing the growth and stability of nerve cell projections. “Our findings that alpha-N-catenin mutations cause pachygyria, probably by depressing Arp2/3-mediated actin branching, are an important first step toward understanding how neurons regulate their cytoskeleton during neuronal development,” says Ashleigh Schaffer, the first author of the study. The team is interested in further exploring this link in people with single-copy mutations of the gene who have epilepsy, autism and schizophrenia. Schaffer, A. E. et al. Biallelic loss of human CTNNA2, encoding αN-catenin, leads to ARP2/3 complex overactivity and disordered cortical neuronal migration. Nature Geneticshttp://dx.doi.org/10.1038/s41588-018-0166-0 (2018).